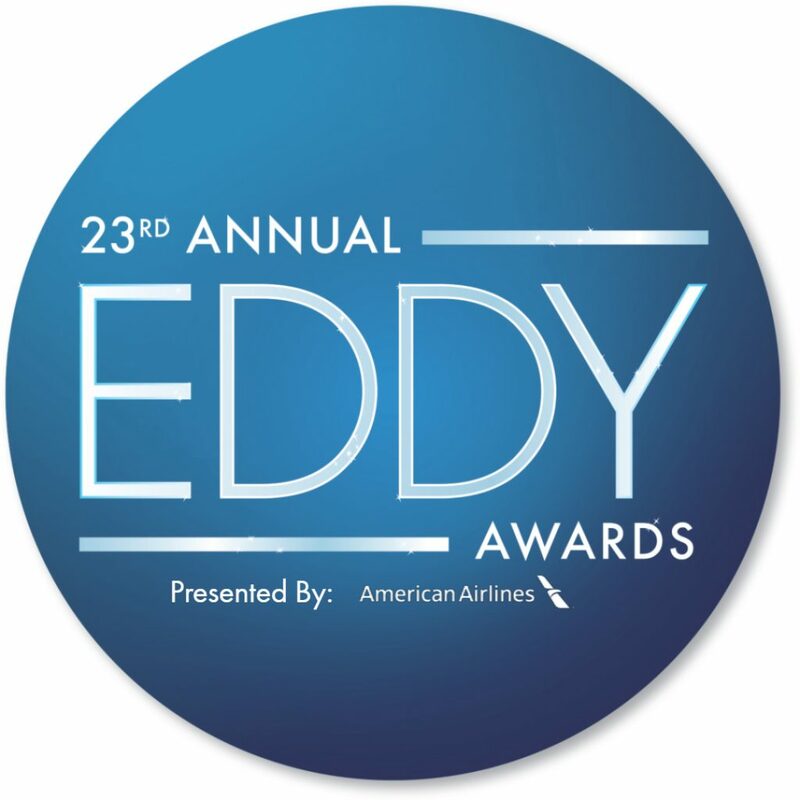 LOS ANGELES, CA – (November 8, 2018) Tonight at the 23rd annual Eddy Awards®, the Los Angeles County Economic Development Corporation (LAEDC) recognized the City of Whittier as the Most Business Friendly City with a population greater than 50,000 and the City of Azusa as the Most Business Friendly City with a population under 50,000. 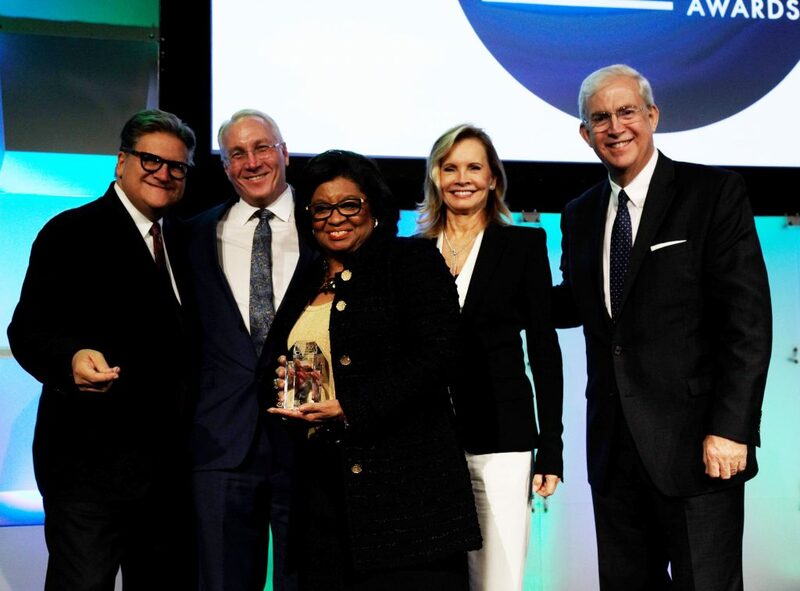 The Eddy Awards celebrate outstanding contributions to economic development, and 600 people were present at the Intercontinental Hotel in Downtown LA to honor recipients and support LAEDC’s public-benefit mission to collectively advance opportunity and prosperity. Mayor Vinatieri of Whittier, city council members and staff accept the 2018 Eddy Award for Most Business Friendly City in LA County, population over 50,000. The City of Whittier is committed to fostering a business friendly atmosphere and a strong local economy by offering personalized, cost-effective programs and services for local businesses. City staff is available to assist the entrepreneur in the same manner as the corporate institution, by providing high quality, streamlined assistance and guidance through each step of the planning and permitting process. In addition to safe neighborhoods, new housing, stellar schools, and a variety of big and small retailers, Whittier gives you that small town feeling but offers big opportunities for families and businesses in an unmatched and thriving community. 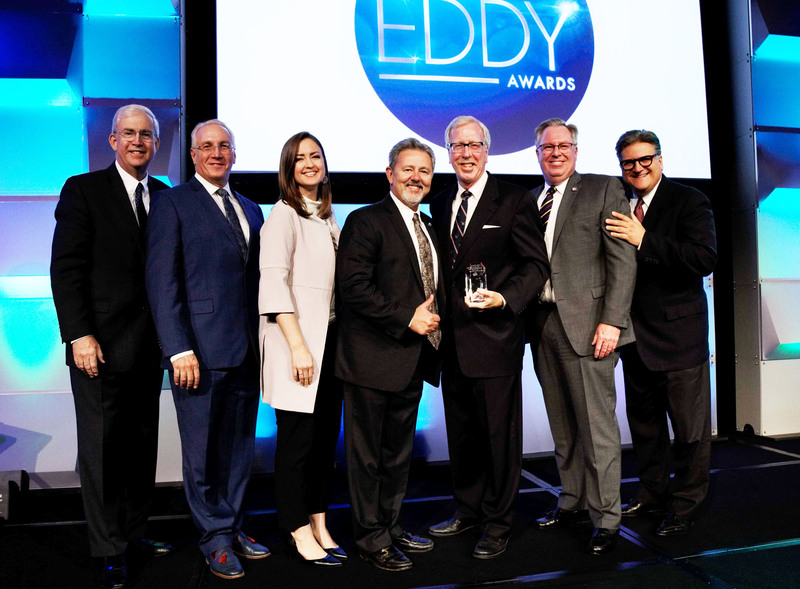 City of Azusa’s Mayor Pro-Tem Robert Gonzales, council members and staff accept the 2018 Eddy Award for Most Business Friendly City in LA County, population under 50,000. The City of Azusa recognizes the power of commerce to help a community thrive. That’s why Azusa invests in resources to create a business-friendly environment. Azusa’s TOD specific plan incentivizes development by minimizing entitlement requirements. City staff is readily available to assist in navigating the development review process and cutting permit processing times through preliminary plan reviews, study sessions and a one-stop counter. The city’s access to Azusa Light & Water’s reliable source of water and competitive utility rates, convenient freeway options, and small business resources are a few reasons why businesses choose Azusa. 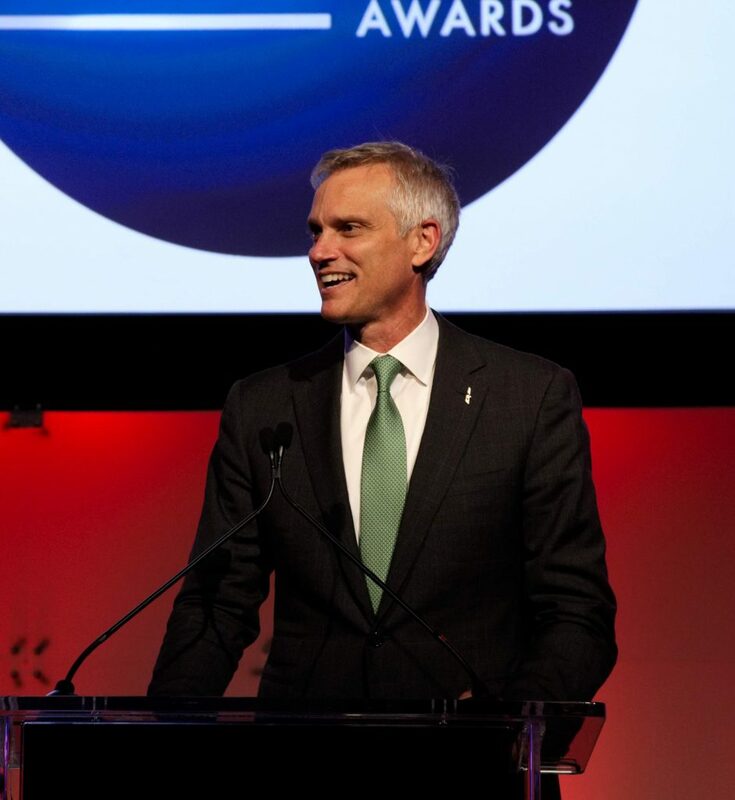 In addition to the city awards, three honorees were recognized for exceptional contributions to economic development in the L.A. region, in the categories of individual, corporate and education. 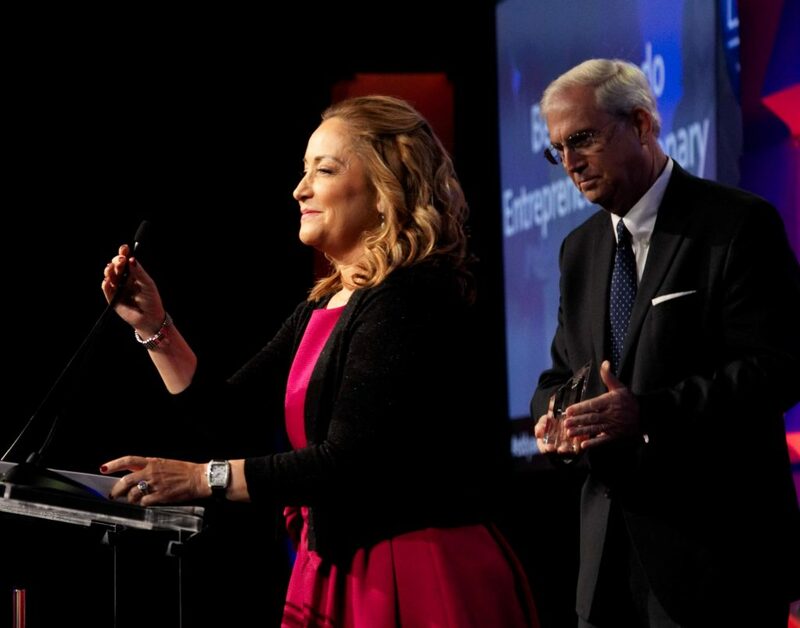 Beatriz Acevedo, the individual honoree at the 2018 Eddy Awards, is a three-time Emmy Award winning producer and digital media pioneer with more than 20 years of experience creating content for major TV networks in the U.S and abroad in multiple languages. Beatriz has dedicated her life’s work to creating opportunities for diverse youth in an effort to empower their voices, and to influence culturally relevant and authentic depictions of Latinos in media. As the former President and Co-Founder of mitú, Beatriz has had the privilege of leading the next generation of Latino storytellers and creators via her mentorship and accelerator program, which Beatriz described in Entrepreneur as a breeding ground for discovering “the next generation of [creatives] from animators to writers to directors.” She defined the mitú brand as one that “stands for a community that opens doors and provides opportunity.” In Medium, Beatriz explained her goal of diversifying media “to help connect the broken bridge between content buyers and creators … to build a digital media brand for this generation of U.S.-born, English-dominant Latinos.” Click here to see more on Beatriz’s illustrious career, and why she was chosen as LAEDC’s Individual Honoree in 2018. American Airlines, the corporate honoree at the 2018 Eddy Awards, directly employs 7,300 people in LA County but its economic impact extends far beyond direct job creation. As American Airlines has grown, it has strengthened LA’s global connections via its nearly 200 daily departures on peak days from Los Angeles International Airport (LAX), through its #1 rank in commercial airline cargo volume at LAX, and through the immense indirect economic activity it generates in the region made possible by its continuous movement of people and goods, as well as substantial investments in its team members, product and facilities at LAX. As an example of the company’s importance to trade, American Airlines cargo volume at LAX has increased 40% since 2015. Beyond its flight operations, American continues to invest in LAX – one of the region’s most vital economic assets – to improve traveler experiences and operational efficiency. Its $1.6 billion project to modernize LAX will reimagine Terminals 4 and 5 to create a better customer experience for its 16.5 million annual passengers and add a link to the upcoming people mover and LA Metro rail system, among other improvements. 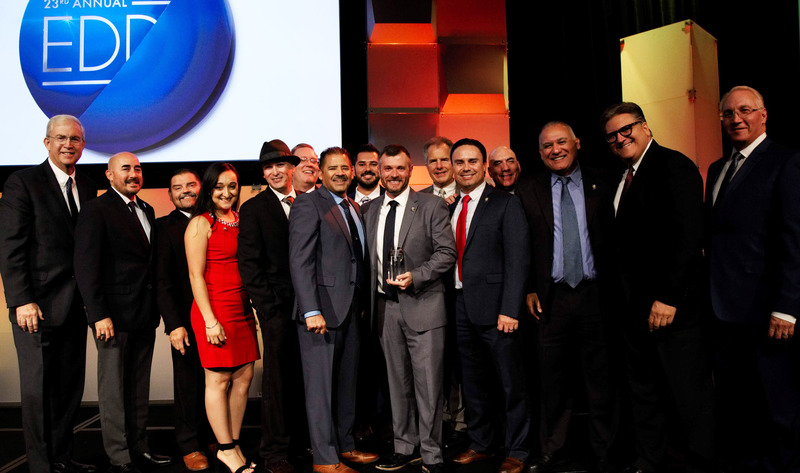 In addition to those tangible contributions, American Airlines’ extraordinary people and culture define the company and its relationship with Los Angeles. 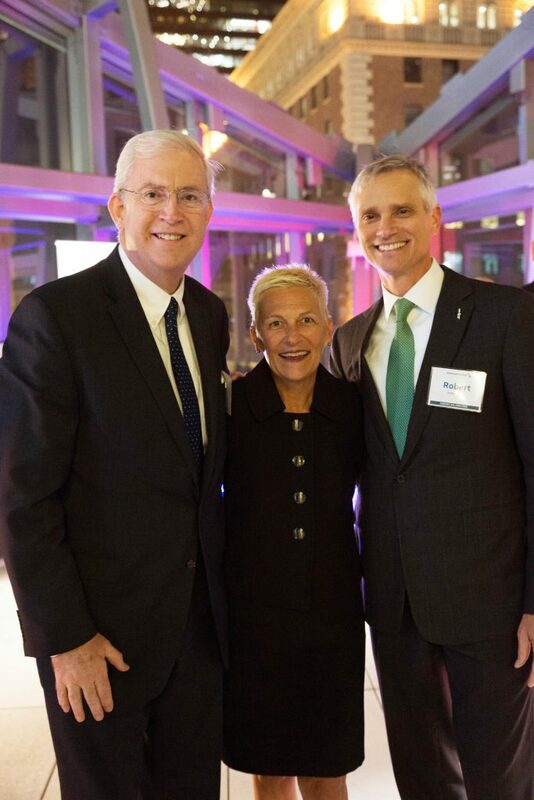 This is visible through its focus on local workforce development and through its locally-driven philanthropy. Cal Poly Pomona University, the educational honoree at the 2018 Eddy Awards, has a student population of more than 25,000 and is ranked 6th in the nation on the Social Mobility Index, which measures the extent to which universities educate economically disadvantaged students who graduate into well-paying jobs. 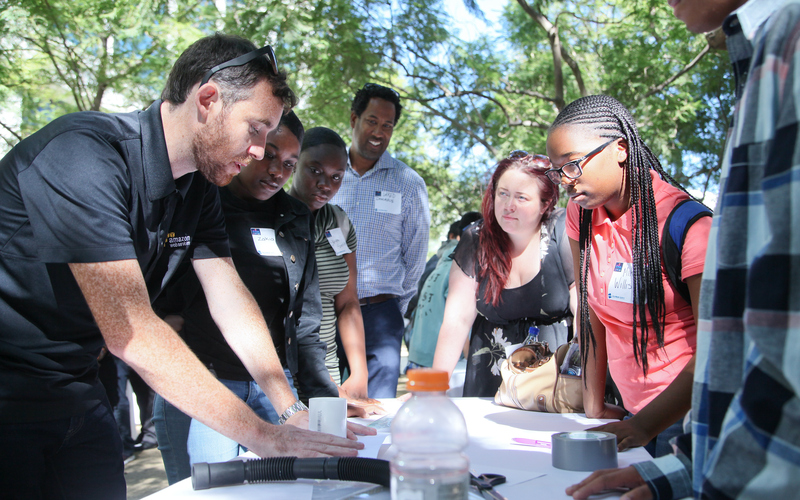 The university’s learn-by-doing approach to education means graduates gain experience with creative challenges and technologies that will better prepare them for the professional world. With over 80% of students living or working in the region after graduation, they have an outsized effect on the success of the LA County economy, at employers such as JPL, DWP, ESRI, Boeing, Northrop Grumman and others. Cal Poly Pomona was also ranked by Forbes in 2018 as one of the best-value colleges in the nation. In addition, U.S. News ranked the university 4th among public universities in the West, and the university is in the top ten nationally by number of Latino students earning bachelor degrees in three fields: architecture, agriculture and engineering. 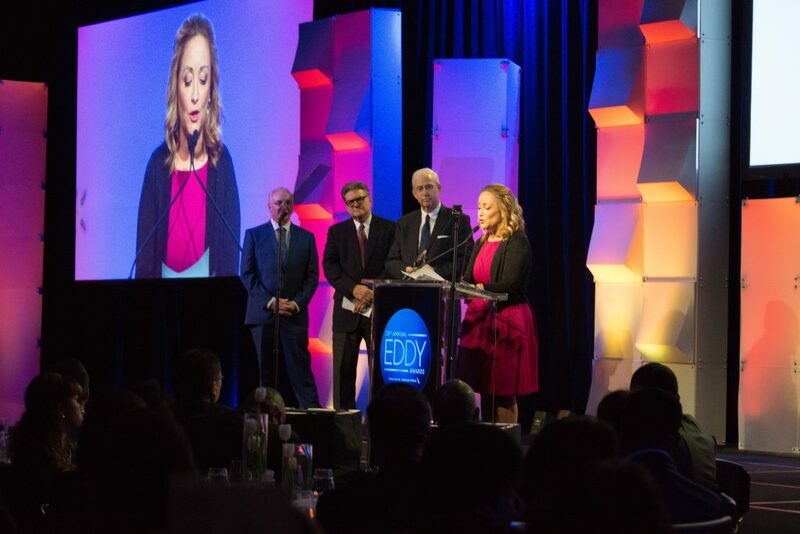 The Eddy Awards were introduced by LAEDC in 1996 to celebrate exceptional contributions to economic development in the L.A. region, consistent with LAEDC’s focus on advancing opportunity and prosperity for all LA area residents. The Eddy Awards gala dinner, where our region’s leaders come together, includes California’s only “business-friendly city” award, highlighting programs and services that foster job-creation. This is LAEDC’s only fundraiser, and an opportunity for civic-minded organizations to support our public-benefit mission. Los Angeles County Economic Development Corporation (LAEDC) is collectively advancing opportunity and prosperity for all. This is achieved via collaborative economic development leadership, objective economic research and analysis, strategic assistance to business, education and government partners, and targeted public policy. LAEDC was established in 1981 as a public-benefit, private nonprofit.